It is a high energy cardio dance workout craze to hit the scene at Ballroom Dream! It's a perfect mix of aerobic cardio with many latin dance moves such as Cha-Cha, Salsa, Samba, Bachata, Merengue and more. Latin Workout creates a unique and intense workout program, while teaching you dance moves that you can take to the dance floor. How are we different from the most other exercise classes? Our instructors are professionally trained dancers and are excellent teachers. They will not only show you the moves, they will ensure you do them right! 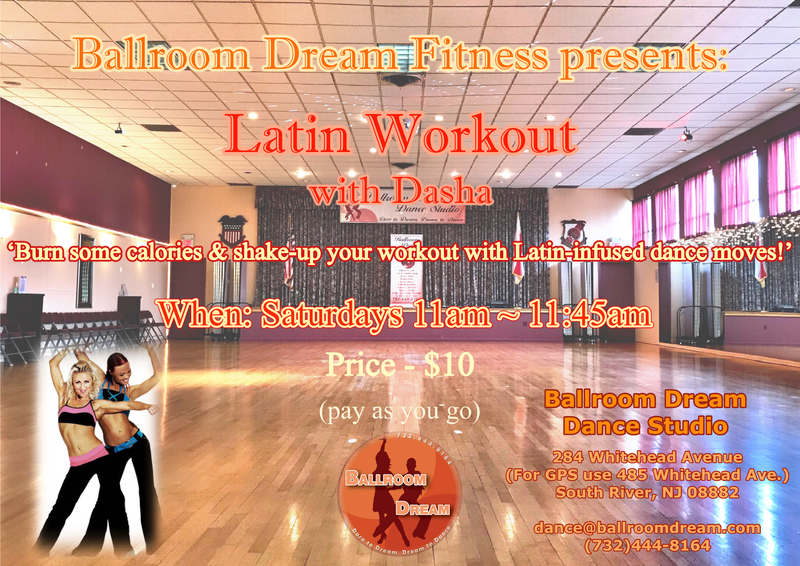 Latin Workout is offered for girls and women of all ages, so make it a family affair and bring your daughters! Requirements: Sneakers & water; you may bring small weights and/or ankle weights.